Aris joined the faculty of Athabasca University in 2008 after four years as a Lecturer and then Senior Lecturer and Researcher at the University of Exeter, School of Business (UK) where his teachings included: Financial and Management Accounting at the undergraduate level and Corporate Governance and Corporate Social Responsibility at the undergraduate and post-graduate levels. He has also taught at Manchester University School of Accounting, Sheffield University Management School, The Open University Business School (UK) and Cardiff University Business School. Aris earned his PhD from Sheffield University (An Investigation into a Conceptual Framework for Environmental Reporting). He also holds degrees from the following UK Universities: Middlesex University (BA Business Studies, Major Accounting); Westminster University (BA Business Studies Hons, Major Accounting); Essex University (MA Accounting and Finance). He is proud to say that his post-secondary education began at Langara College in Vancouver, British Columbia. As a researcher, his main interests are Corporate Social Responsibility, Corporate Governance, the integration of accounting techniques and practices into corporate social responsibility and conceptual frameworks. He has acquired several research grants over the years amounting to just over C$ 100,000. Currently Aris is working on three other research projects. The first is a grant from The Nuffield Foundation in the UK which is looking at disclosure in private meetings between institutional investors and companies. The second is investigation the development of a new accounting statement that will look at the financial contribution that companies make to society. His most recent awarded, a grant of C$ 50,000 has come from The Athabasca River Basin Institute (ARBI), an Athabasca University Research Centre to oversee the business section of the Athabasca River Basin Bibliography. 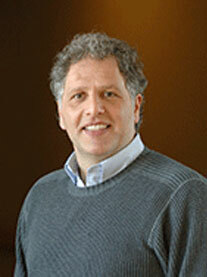 Mike is the former Director of Athabasca University's Master of Arts in Integrated Studies (MAIS) program. He is also an Adjunct Professor of Sociology at the University of Alberta and a Research Fellow with the Centre for Research in Latin American and Caribbean Studies at York University. Mike is editor of the journal Aurora: Interviews with Leading Thinkers and Writers. Mike lives in Athabasca and was for many years a town councilor. He is interested in the relationship between municipal government and the social economy. Mike's research focuses on local responses to globalization, northern development and public participation in environmental issues. 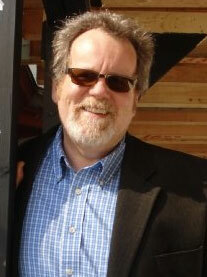 Mike is Co-Investigator and Steering Committee Member of the BC-Alberta Social Economy Research Alliance (BALTA) - an SSHRC funded regional research collaboration amongst community based organizations, universities and colleges in Alberta and British Columbia, Canada, with an interest in the social economy. The terms 'social economy' - and 'social enterprise' and the range of organizations and activities associated with them are as old as the nation of Canada. They include co-operatives, credit unions, non-profit organizations and other types of enterprise. BALTA has primarily focused its approach around definitions that emphasize the use of market-based practices for achieving social and ecological as well as economic aims. Mike has been leading the mapping and portraiture program within BC-Alberta Social Economy Research Alliance (BALTA) and researching social aspects of the transition to sustainability. Jorge's areas of research expertise fall within the context of the intersection of community development and adult education. 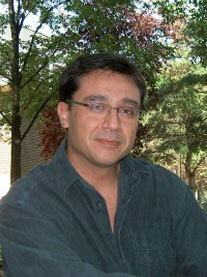 He is primarily engaged in research aimed at understanding and strengthening Canada's Social Economy. One of the objectives of his work is to develop appropriate learning strategies and to institute a process that can account for the needs of citizens as they take control of their housing community. .Jorge's primary inspiration for working in the realm of community development is based on his experiences of converting public housing to co-operative housing. His primary research approach is community based, which results in research outcomes that have significant social value.He often works with community-based non-profit organizations to conduct research as well as participating in planning processes relevant to capacity building and development. Dr. Lorna Stefanick earned her BA at the University of British Columbia, an MA at the University of Calgary, and her Ph.D. at Queen's University (Kingston). Lorna's association with Athabasca University is a long one. The first university course she registered in over 30 years ago was a distance course at AU. She worked at her degree for a number of years, eventually graduated with a Bachelor of Arts degree in international relations from UBC. Her master's degree from the University of Calgary was completed much the same way, part-time, in a program designed for working professionals. 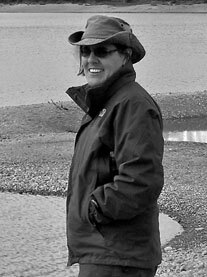 Lorna completed her Ph.D. in 1996 at Queens University and taught at both the Universities of Calgary and Lethbridge in their Political Science departments. In 1999 Lorna joined the University of Alberta's local government program as Chief Editor and later as the Acting Director. Here she oversaw the development of courses and course components for the online environment. Her responsibilities included the development of national programs in Information Access and Protection of Privacy and Local Government Administration; the latter program won the 2003 CAUCE Award of Excellence Program Award. Aside from providing professional development for public administrators in two important areas, this program work was particularly rewarding as it allowed remote adult learners to participate in an interactive instructional experience with students from across Canada. Lorna moved to AU in 2004 to assume leadership of its Governance program. She believes strongly that knowledge and skill development are not the preserve of society's elite; that we all collectively benefit when barriers to higher education are removed. Lorna's research interests are as diverse as her teaching background. Her graduate work and early publications focused on environmental policy and environmental interest groups. In recent years, she has both published and made presentations on local government and community transitions to non resource-based economies, transnational environmental activism, administrative accountability, information access and privacy, and cyber communities.